Although I am nearing the one year anniversary of my blog, I still feel pretty new to blogging and haven’t had much time to sit down and figure everything out. I am trying to be a little more involved in the blog world so I was excited to join my first linky party last week. 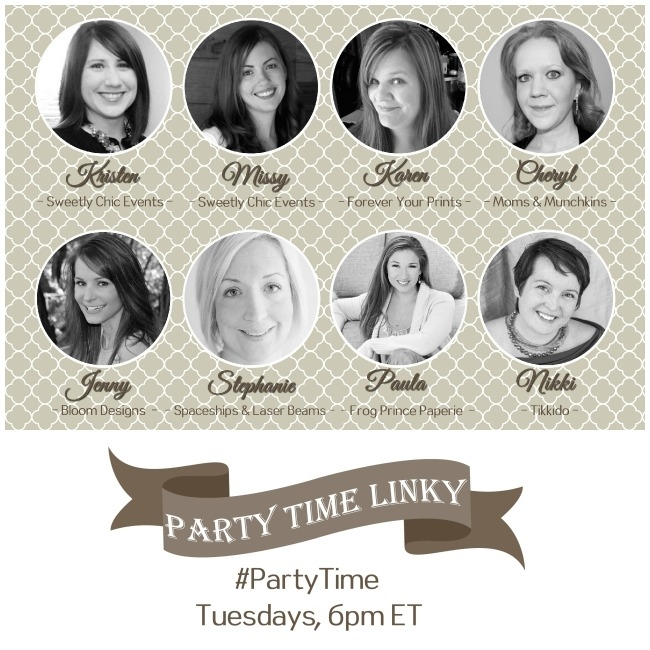 I am a huge fan of Spaceships and Laserbeams and was excited to read Stephanie’s post inviting others to join in to the Party Time Linky hosted by herself and some other fabulous bloggers. There are a ton of great ideas on there, but because I seem to be drawn to all things watermelon right now, I have picked out these great posts from some of the other Party Time contributors. Watermelon Cake Pops from Moms&Munchkins. These are adorable, but not something I will be attempting. I have tried cake pops before and melted chocolate and I just don’t agree! 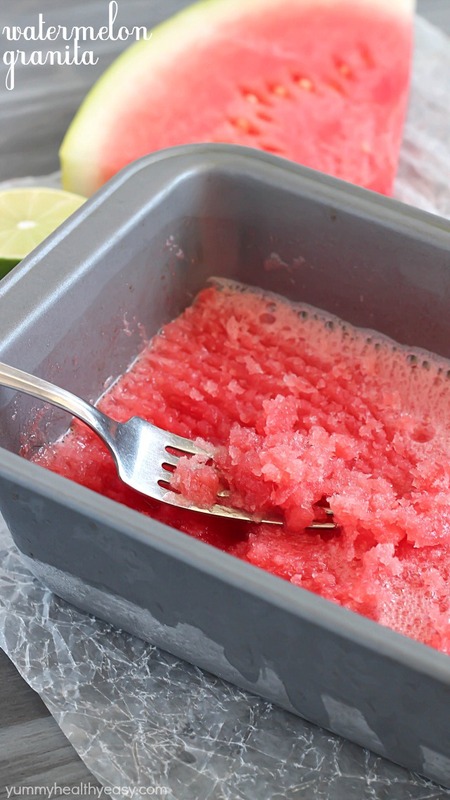 Watermelon Granita from YummyHealthyEasy. This looks so refreshing and delicious for a hot day. This recipe is extra appealing with just 3 ingredients! 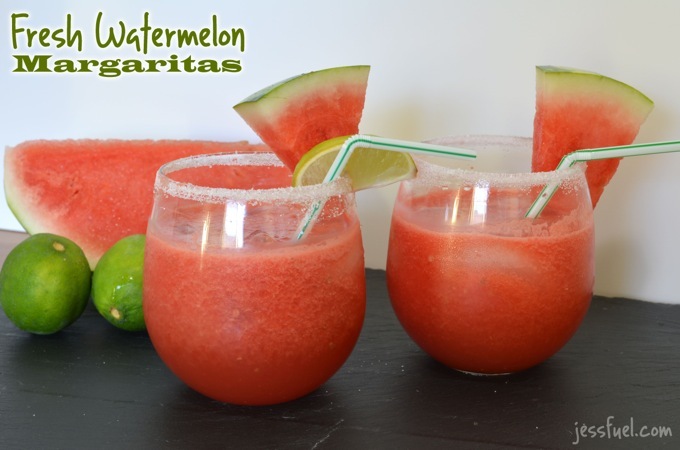 Fresh Watermelon Margaritas from Flying on Jess Fuel. Watermelon + Booze! Need I say more? 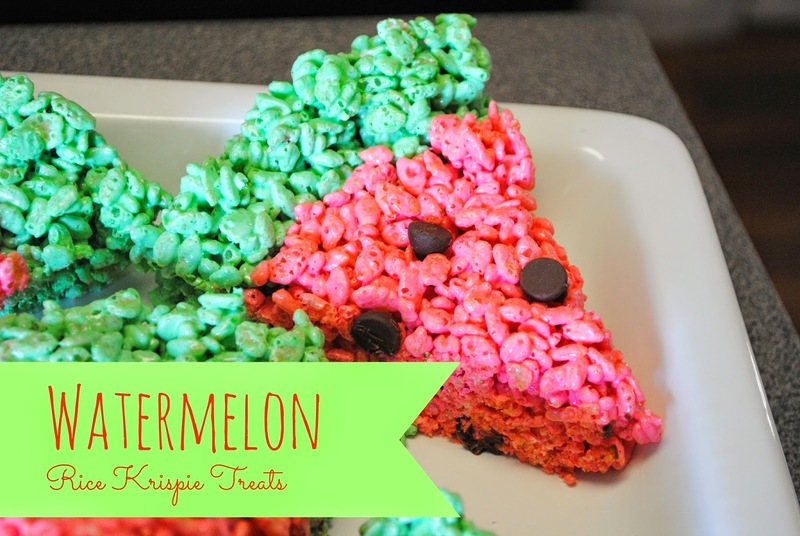 Watermelon Rice Krispie Treats from Gingerly Made. These are cute and look way more my skill level then the cake pops. I am always amazed how versatile Rice Krispie treats can be and have a whole pinterest board just dedicated to different Rice Krispie Treat Recipes. 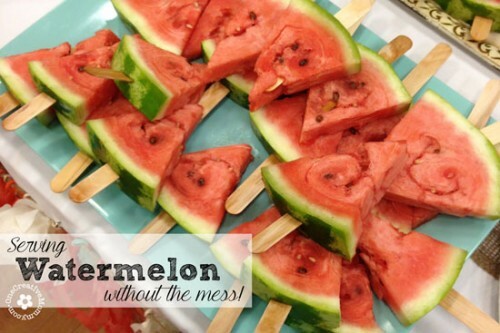 Watermelon on a Stick from One Creative Mommy. I have always thought this is such a great idea for serving watermelon at parties! Watermelon Salsa from The Scent of Oranges. I find this recipe most intriguing and can’t wait to give it a try. I enjoy mango salsa so I am hoping this is just as tasty! 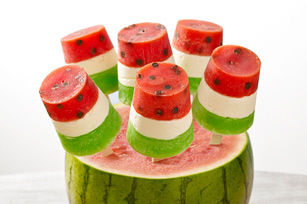 Still not enough watermelon ideas? 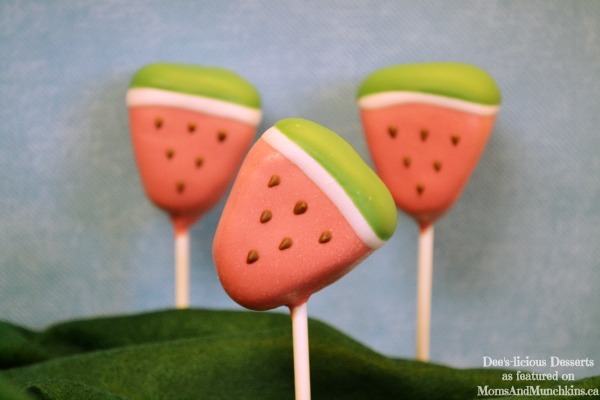 I posted these cute Watermelon Pops from Kraft on my Facebook page earlier this week. They are on my to-do list since my kids are all about the ice cream and popsicles right now! Check out the Party Time Linky if you have a chance. I will definitely be contributing again and checking in on all the other great ideas from my fellow party loving bloggers. Previous postDoll’s Aboard the Teddy Bear Special! Thanks for featuring my margaritas!! They are SOOO yummy!! 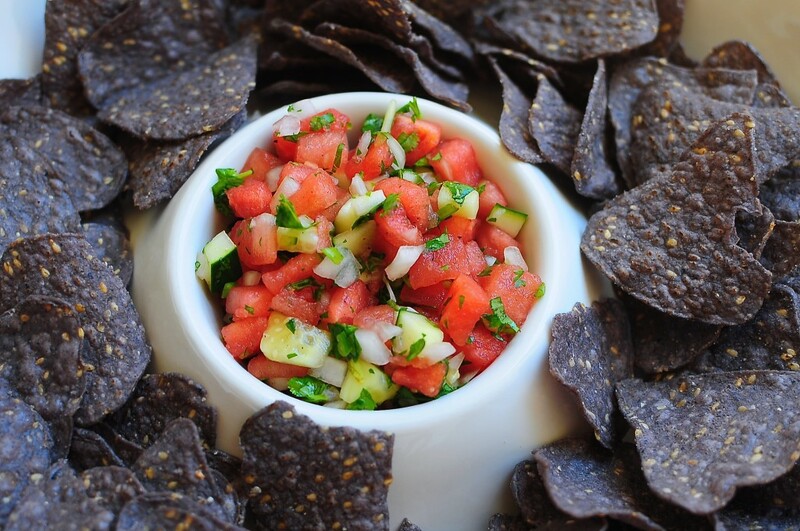 That salsa looks great too… perfect for summer! !